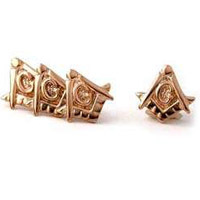 14K Gold Shirt studs for your Tuxedo, handcrafted by the Master's Jewel. 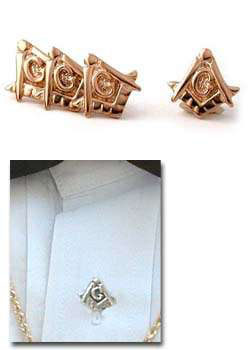 These are little nuggets of SOLID 14K Gold. Simply designed as one piece, never to break, weighted towards the bottom to prevent spinning in the button hole, in a set of four, with a lifetime guarantee. Available in yellow or white gold. Accompanied by a lifetime guarantee, a genuine velvelt gift box, and explanatory printed inserts.